It currently offers about 17 kilometers of natural single trail of varying difficulty. Trail routes are designed to be interesting for all categories of bikers. The undulating landscape of eastern foothills of our highest mountains, nature is full of boulders, rocks and beautiful forests is the ideal place for riding your bike. Ride on trails can be complemented by fantastic cycling in the surrounding Krkonoše, Adršpach, Babi? ?ino údolí, Žaclé?sko or Broumovsko and spend a lot of wonderful days. 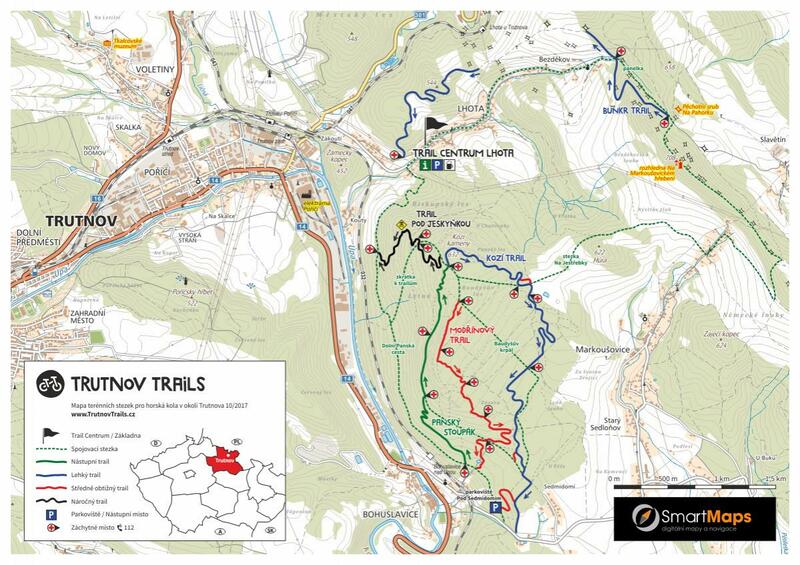 Trutnov Trails MTB Trail 0.00 out of 5 based on 0 ratings. 0 user reviews.